Organizing a truly amazing heli-ski freeriding trip requires attention to details. At LUEX we know the requirements for a perfect heli-ski adventure in Switzerland and we’re ready to go an extra mile to put together a trip package perfectly suited to YOUR needs. We are proud to present YOU our top heli-trips to Switzerland. LUEX offers plenty of sick trips to different regions in Europe and for different riders, having one thing in common: the highest quality of service. Call us to find out! Have you always dreamed of trying the incredible experience of heliskiing? Heliskiing in Switzerland is a chance to try this amazing freeriding trip at one of the only European heliskiing destinations. Though quite different from skiing the wild, open terrain available in the pioneering heliskiing regions, Canada and Alaska, heliskiing in Switzerland is a great way to try this sport. When you think of heliskiing, you might imagine untracked terrain and wild beauty that you see in skiing movies set in Canada or Alaska, but even in Europe you can try this new sport. 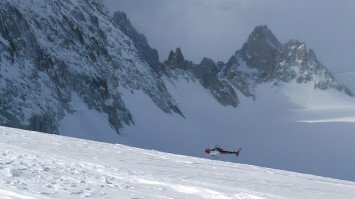 Heliskiing in Europe is heavily regulated and very different than in North America, but it is still a great way to ski in the Alps. 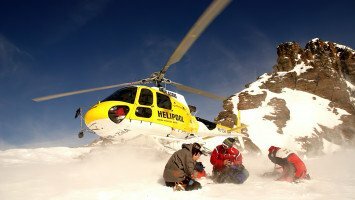 Heliski trips in Switzerland usually include about 1 to 3 “drops” per day, giving you plenty of time to ski or snowboard. All helicopter rides leave and land in designated areas, according to regulations. Although you might not get first descents, skiing on untracked terrain, like you would on a North American heliski trip, the great news is that you can enjoy some extreme vertical, with runs up to 3.000 vertical meters. Another difference between heliskiing in Europe and North America is the view; with LUEX’s heliski Switzerland trips every turn is a chance for a breathtaking view of the Alps. 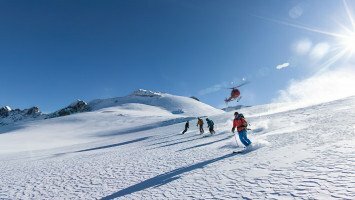 Heliski Switzerland trips are all found in the Swiss Alps, Europe’s most famous mountains and winter sports area, where you can enjoy long vertical descents, open terrain, plenty of steeps and some glacier skiing too. 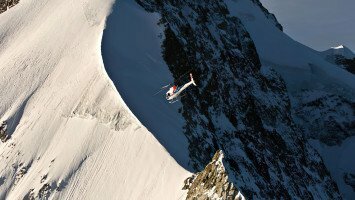 Some of the hot spots for heliskiing in Switzerland are at Grindelwald and Mürren (Jungfrau Region), Verbier, St Moritz, and Zermatt. While many heliski trips in other parts of the world are just suited for expert and pro skiers, there are heliskiing trips in Switzerland suitable for every level of skier or snowboarder, from beginner to pro. Most trips are located at Switzerland’s big resorts, which makes heliski trips suitable for families, couples, and groups that may have multiple levels of skiers. 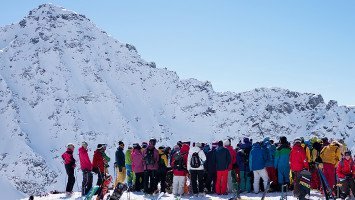 Party people, ski bums and solo travelers will also find a few excellent heli trips that offer a great chance to meet like-minded skiers. 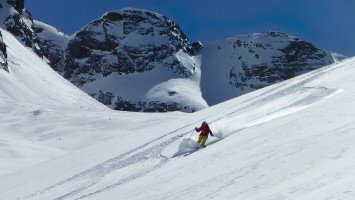 Heliskiing in Switzerland is also a great alternative to trying the sport elsewhere, because it can be very affordable. 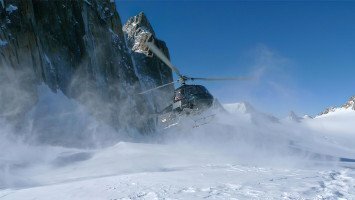 LUEX offers heliski trips in every price range, including several budget priced trips; something that just isn’t an option for heliskiing in Canada or Alaska. As one of the pioneering countries in the sport of skiing, heliskiing in Switzerland is of course about more than just the snow, it’s about the alpine life. After a day of heliskiing, you can enjoy the life in small mountain villages, drink and dine, and enjoy the great après scene. Skiers and snowboarders can choose from a range of destinations for heli skiing trips in Switzerland including Bernese Oberland, and the Swiss Valais. 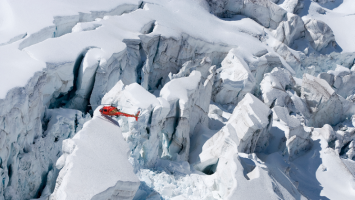 Think you have to fly all the way around the world to try heliskiing? Think again. Heliski in Switzerland and enjoy this popular new sport, for an affordable price and in a convenient location. LUEX can help you pick the perfect heliski Switzerland adventure today!